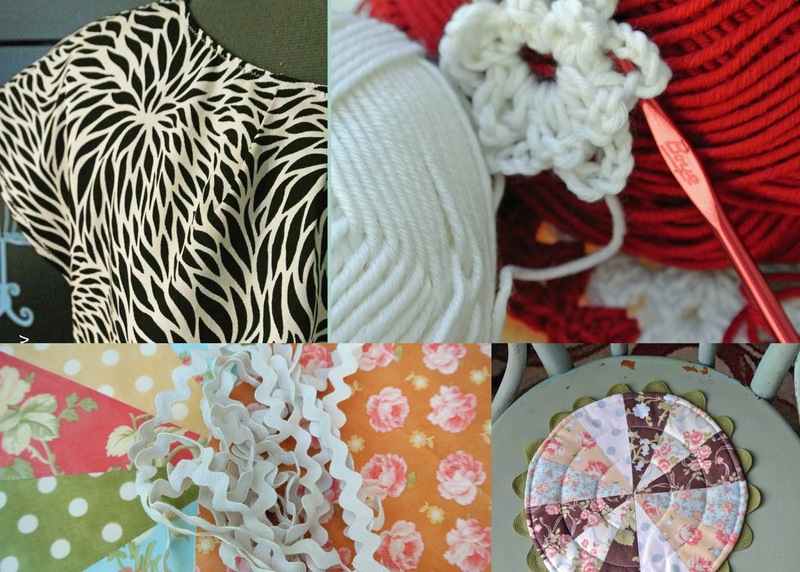 a notion to sew: Burda Dress and Milk Paint Chair and ScrapBuster Trivets, Oh My! Burda Dress and Milk Paint Chair and ScrapBuster Trivets, Oh My! Hey everybody, I know it has been some time since I checked in on my pitifully-neglected blog. Here are some of my completed projects from the month of June. I just wanted to share a glimpse with you all before I head out the door for a camping weekend. I will share complete posts on each one of them next week. I haven't been able to write any reviews this month because I dropped my camera broke and I was without one for about six weeks. And let's face it, a DIY review without photos is like a hot fudge Sunday without hot fudge! My sweet hubby bought me a new camera two days ago and I'm learning to use it. The top left is a peak of my new dress using Burda Style #108 pattern from the April 2013 issue. Top right is a crochet table runner. 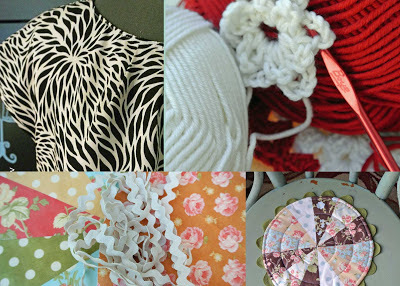 The little crochet flower will adorn the bottom left ScrapBuster Trivet from the Sew 4 Home blog. And finally, another Sew 4 Home ScrapBuster Trivet is sitting atop the newly painted, chippy chair on which I used Miss Mustard Seed Milk Paint. Okay, I'm venturing out into the 100+ degree temperatures to go camping. Good thing the RV has air conditioning! I know, that's not really camping, but that's how I roll!!! The RV park also has a swimming pool. Don't judge me! Have a most excellent and enjoyable weekend.